We all know how several touch input technology had the touch the way of computing. Infact the future holds good for these type of natural user interaction. Imagine what could have been the scene if in near future we could able to converge digital world with the physical world or changing the way we interact today. Touch screen interfaces let users interact with controls and applications more intuitively than a cursor-based interface because it is more direct – instead of moving a cursor to select a file and clicking to open it, for example, the user touches a graphic representation of the file to open it. Smartphones and tablets typically enable touch input. Touch is being adapted for non-screen applications as well. For example, Microsoft is working on a touch interface called “skinput” that allows users to interact by tapping their own skin. Gesture recognition systems track user motions and translate those movements to instructions. 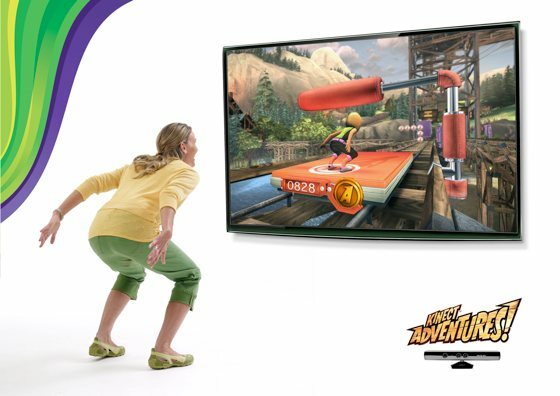 Nintendo Wii and PlayStation Move motion gaming systems work through controller-based accelerometers and gyroscopes to sense tilting, rotation and acceleration. A more intuitive type of NUI is outfitted with a camera and software in the device that recognizes specific gestures and translates them to actions. Microsoft’s Kinect, for example, is a motion sensor for the Xbox 360 gaming console that allows users to interact through body motions, gestures and spoken commands. Kinect recognizes individual players’ bodies and voices. Gesture recognition can also be used to interact with computers. Apple Siri application was one such application for ios which is an intelligent personal assistant. Speech recognition allows users to interact with a system through spoken commands. The system identifies spoken words and phrases and converts them to a machine-readable format for interaction. Speech recognition applications include call routing, speech-to-text and hands-free computer and mobile phone operation. Speech recognition is also sometimes used to interact with embedded systems. Gaze-tracking interfaces allow users to guide a system through eye movements. In March 2011, Lenovo announced that they had produced the first eye-controlled laptop. The Lenovo system combines an infrared light source with a camera to catch reflective glints from the user’s eyes. Software calculates the area of the screen being looked at and uses that information for input. Brain-machine interfaces read neural signals and use programs to translate those signals into action. BCI can make it possible for someone who is paralyzed to operate a computer, motorized wheelchair or prosthetic limb through thought alone. Microsoft Xbox 360 embedded with human controllor kinect. Another , masterpiece is Google Goggles you just hold it up in front of the camera and get search results dynamically. It only works with bar codes and the covers of media like movies and books right now, but it’s just such a slick presentation. Ultimately, it’s not that I want to use less of my computers, I just want my computers to use more of me. Luckily, most of the things I’ve outlined here are obvious and inevitable evolutions of computer interaction. What scares me is that in the meantime we’ll get so hung up on “natural user interface” that we’ll just use fancy new gestures and voice commands to do the exact same tasks we’ve been doing with perfect speed and accuracy for years.